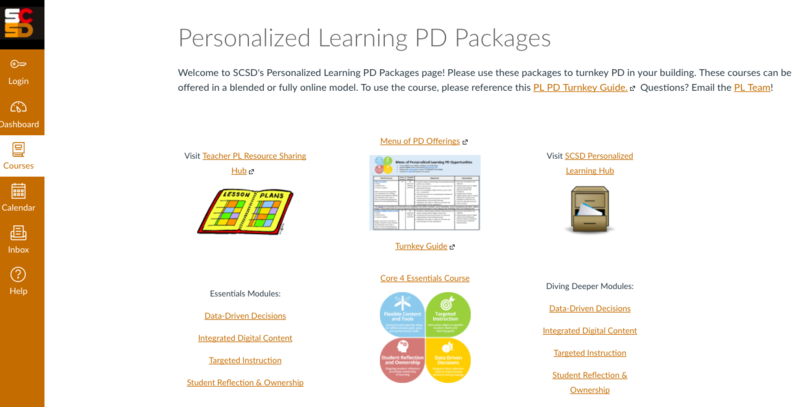 Welcome to the second edition of the Personalized Learning in New York newsletter! This quarterly newsletter connects New York state, district, and school leaders of personalized learning, as well as those interested in starting the work. Want to be featured? Want to speak with a district doing amazing work? Contact Angela Chubb at angela@edelements.com. With gratitude and appreciation, the Education Elements team wishes happy trails to Ken Eastwood, former Superintendent of the Enlarged City School District of Middletown. When Ken approached us in 2013, Middletown was already well on its way to making significant improvements to instructional programs. Ken had a clear vision for providing every child with a personalized learning experience, and he turned to us to help make that a reality. Today, Middletown is recognized as a “future-ready” district with an instructional program that provides personalized instruction and interventions to dramatically increase the graduation and college-entry rates for its high-poverty, minority students. 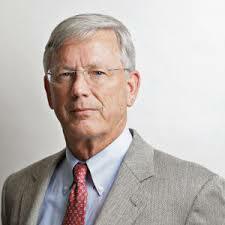 Congratulations Ken, we wish you well in your well-deserved retirement. Thank you for all you have done for the students of Middletown. In our work with over 125 districts across the country, we have noticed patterns in how our ways of working often hold us back, rather than move us forward. Schools and districts across the country spend millions of dollars on a long list of programs and initiatives to improve student outcomes, yet we’re grateful if we see student academic gains of a couple of percentage points. Decisions take too long. Increasing and changing demands lead to confusion and too many things falling through the cracks. Everyone’s energy is sapped in the effort to defend decisions rather than take action. We know there is a better way to meet, function, and make decisions. That’s why our CEO Anthony Kim wrote The New School Rules, a culmination of our research that explains the six organizational practices that have the biggest impact on how organizations function and how work gets done. Check out our website here! Congratulations to Marion CSD for being one of only 13 districts nationwide to be selected for the most recent cohort of the League of Innovative Schools! The League connects over 90 of the most forward-thinking school districts as they pioneer innovative learning and leadership practices. Marion was selected for their ingenuity in creating dedicated non-traditional spaces for students and staff; prioritizing the development of students’ growth mindset; and leveraging online programming for enrichment, among other accomplishments. Congratulations Marion - we are honored to support you in this journey! Did you know that the pineapple is the universal sign for WELCOME? This year teachers at Romulus CSD are placing pineapples outside their doors whenever their classrooms are available for a peer observation. Is there any better way to learn than by observing personalized learning in action and asking students questions about their work? Most pineapples stay up consistently – with teachers welcoming colleagues all day, every day. Well done Romulus team! These two districts continue to shine as regional leaders of personalized learning. They have made a concerted effort to communicate what’s going on in schools to their communities. Check out Dundee’s video and Geneva’s newsletter about their personalized learning work! District leaders and coaches at the Syracuse City School District have the daunting task of supporting personalized learning across 30 schools. Click on the photo to check out their online professional learning courses! For more information on how Syracuse provides professional development to their schools, contact Manami Tezuka at mtezuka@scsd.us. 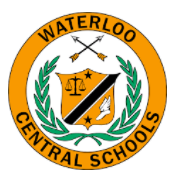 Waterloo CSD – located in Seneca County approximately 50 miles east of Rochester – serves over 1,500 students. This past year Waterloo worked with Education Elements to bring personalized learning to their four schools – and what a year it has been! Our final shoutout goes to the personalized learning consortium districts in Erie 2-Chautauqua-Cattaraugus BOCES (E2CCB). The three participating districts and the BOCES instructional programs are in their second year of personalized learning. E2CCB recently completed 129 Learning Walks across their organization to gauge their growth as a result of their PL implementation. All building leaders have been leading the charge at their sites. It is very exciting that PL has impacted the learning of unique populations such as Career and Technical Education, Special Education, and Adult Education! Eden CSD currently holds regular PL PLC meetings to engage teachers in problem-solving common challenges they encounter as they try innovative tactics in their classrooms! They will also begin to train their second wave of adopters in the upcoming weeks. Pine Valley CSD holds regular book study meetings to continuously grow their teacher practices and increase teacher-leadership. Frewsburg CSD has plans for upcoming teacher-to-teacher observations to share best practices. Marion Accepted into the League of Innovative Schools, Spectrum News, Rochester, Oct 2017 (Marion CSD). The League acceptance "provides us validation that 'yes, you can be both the leader in growing future-ready students and be a leader in innovation and still hold onto those traditional values that are so dear to this community,'" said Don Bavis, Marion superintendent. Central Valley’s Hughes Named Outstanding Superintendent, Times Telegram, Nov 2017 (Central Valley CSD). Rich Hughes was recognized as the 2017 NY State Association for Computing and Technologies in Education Outstanding Superintendent of the Year. The award recognizes Hughes for his vision, leadership and commitment to providing students and staff with technology and providing teachers with the support needed to fully integrate that technology into the classroom. We congratulate Rich and wish him well in his new position as superintendent at Frontier CSD! Barringer ES teacher Lori Barr shares her experience with flexible seating: “Attention has never been better, and the kids just seem generally happy!” Check out her story and photos! WE'RE COMING TO NEW YORK! On March 14, our CEO Anthony Kim and Managing Partner Angela Chubb will visit the Hudson Valley region. Thank you to Newburgh Enlarged City School District and Monroe-Woodbury Central School District for hosting what are sure to be productive conversations around the New School Rules! We’re always in New York supporting our clients. Want Education Elements to come to your district or BOCES? Email Angela Chubb at angela@edelements.com. You received this email because you are subscribed to New York State School Districts Newsletter from Education Elements .